This could either be really fun, or a complete disaster. 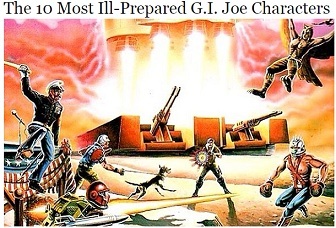 As we learned with our G.I. 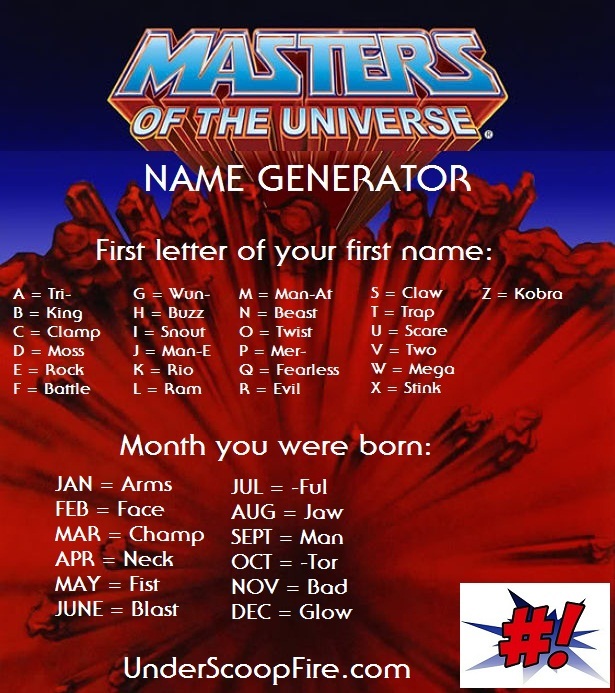 Joe and Cobra Code Name Generators, they can’t all be winners. 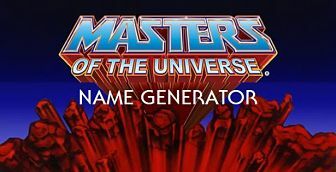 One quick look at the Masters of the Universe name generator below shows that for every Ernie born in October (Rock-tor! ), there will inevitably be a Fred born in February (Battle Face), an Isabella born in July (Snout-ful), or (gasp!) an Xavier born in May (Stink Fist). 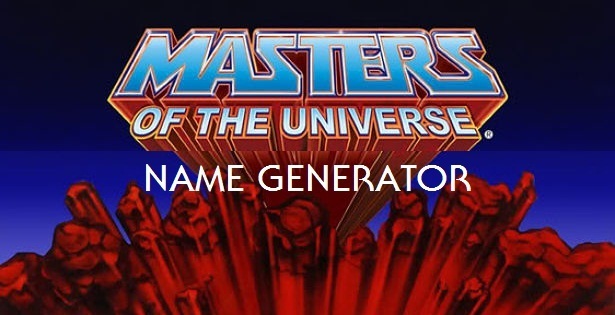 Run your specs through the generator and leave a comment with your very own Masters of the Universe name. Bonus points if you craft a little info about your “character”. And I apologize in advance to any Lauras born in May. Man E Man? Aka Chuck Norris? Next post: Hey Las Vegas NHL Team Names: Can We Talk?